This economy package contains one pack of six PureVision lenses and a 360 ml bottle of Gelone solution. PureVision lenses have a monthly replacement schedule and are suitable for daily or continuous wear. 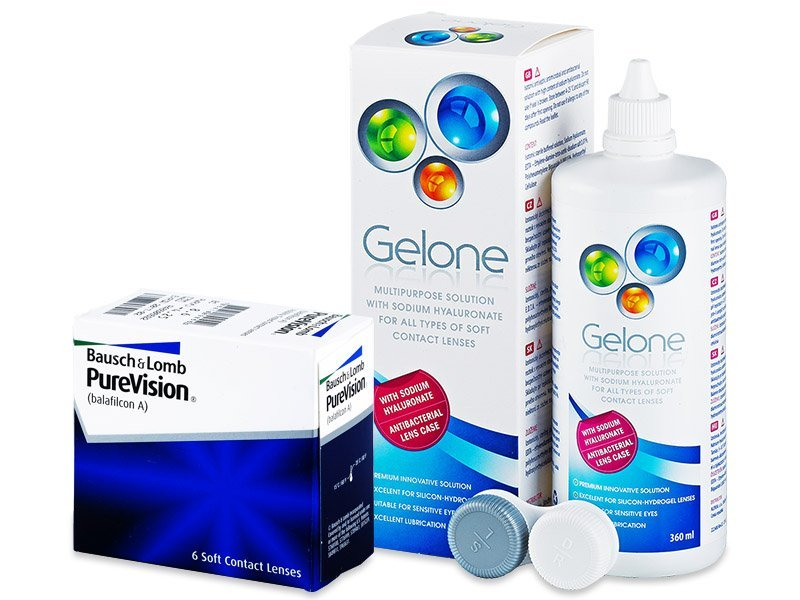 PureVision lenses by Bausch and Lomb are monthly contact lenses that are suitable for continuous wear (if approved by your optician). These lenses feature the brand's revolu­tionary Performa technology, which ensures maximum moisture and minimises the sensation of dry eyes. Please always consult with your eye-care specialist or ophthalmologist before starting a continuous-wear regimen. Each box contains six lenses.